This tiny island just off Cancun offers an unbelievably beautiful slice of Mexican life. Its name actually means ‘Island of the Women’ but we think it’s good for everyone! Getting up close and personal with sharks and rays at Meso-american reef is a must, while the El Garrafon is home to plenty of water sports that’ll definitely get your heart pumping. If you prefer a little relaxation, there is no better place than the stunning beaches with a cocktail or two at the ready. 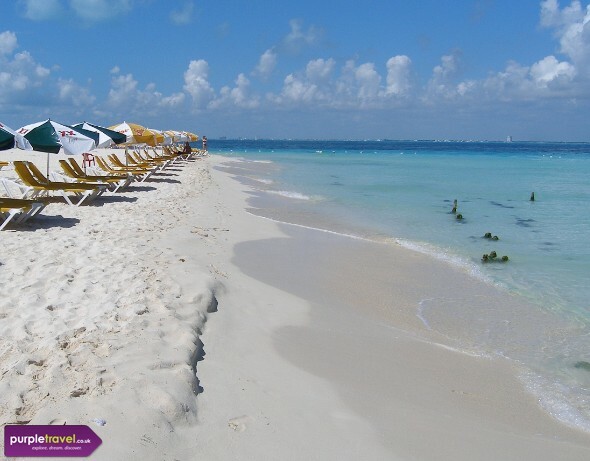 Book a fantastic holiday on the Isla Mujeres in Mexico now with the expert team at Purple Travel. we paid for our trip to see the dolphins online beforehand on D-Traveller, so we got a 15% discount. The trip included collection from your hotel, breakfast on board the boat to the island and a buffet lunch, all of which were lovely. If you are looking for tons of activities, shops, restaurants, etc... Las Palmas is not for you.